I’ll be giving my annual “State of the Mac (and iPad, and iPhone)” address this Saturday on the Digital Village radio program, hosted by Ric Allan and Doran Barons. The show starts at 10 AM this Saturday, January 28th, 2012 and in Los Angeles you can listen to it live on the radio, 90.7 FM KPFK. 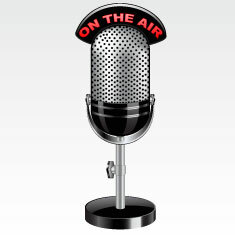 If you aren’t within range of KPFK, listen over the internet using this link. And, if you miss the show, listen whenever you want by visiting Digital Village’s Audio Archive. My part of the show will probably start around 10:20 AM but I’d tune in at 10 and listen to the whole show. Ric and Doran always have an interesting show, even when I’m not on it.